It’s summer weather season, and that means that your AC system is turning on and getting cranked up to keep your home cool! With the increased use of air conditioning, you’ll need to make sure your system is working properly. Checking your air filter is one way you can make sure everything is running as it should be. The standard rule for changing your air filter is that it should be replaced every 30 to 90 days. Different types of filters need to be changed at different times. If you have a pleated filter, you won’t need to worry about changing it too frequently. This type of filter should be changed every 3 months to keep it working optimally. For fiberglass filters, you should change them every 30 days. These filters are of lower quality and tend to build up dust and dirt more frequently than other filters. High-end filters can be changed every 6 months, but this is the exception, not the rule. It’s best not to wait; change your filter sooner to keep airflow running at its peak. 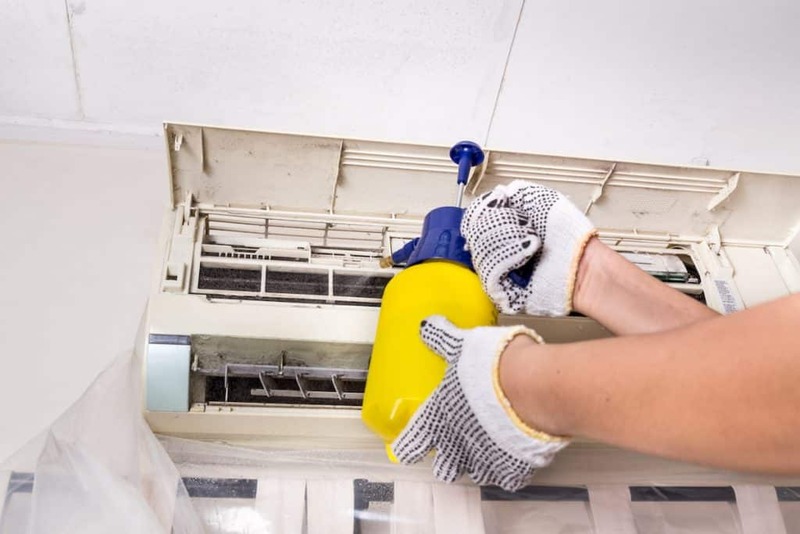 Some air conditioners have filters that need a little TLC. If this sounds like you, you’ll want to change your filter more often. Homes with pets often get blocked up air filters. Pet dander and fur flakes off all the time and is easily swept into the air ducts. If you have pets, make sure to change your filter every 60 days. During transition seasons such as Spring and Fall when pets are shedding more, you’ll need to change filters more often. Do you or your kids have allergies? It’s a good idea to change your filter ASAP. Dust mites and other air particles build up on air filters and bother people with allergies and asthma. If this sounds like your home, change your filter every 6 weeks to keep the air clean. If you have a big family or small children, you’ll need to change your HVAC filter frequently. Small children have delicate lungs that can be adversely affected by improper air circulation. Keep your family’s bedrooms, walk-in closets, kitchen, and overall home healthy by changing the air filter regularly. If you’re not sure when to change your filter, there are a few signs that can let you know it’s time for a new air filter. The biggest clue is if you can see built up dirt under the filter. A small, thin layer is fine, but anything more than that tells you it’s time for a change. Checking on your filter every few weeks can help keep things clean. You can also lengthen the life of your air filter by gently wiping it down with a damp rag every week or two. While this won’t replace the need for a filter change, it can reduce the frequency. Don’t let your air filter stop you from keeping your home cool this summer. Call us up and we’ll take care of your HVAC system.